In 2017 Advicenow won both the Access to Justice through IT Award at Legal Aid Lawyer of the Year, and a Plain English Campaign award. Law for Life: the Foundation for Public Legal Education is an education and information charity that aims to increase access to justice by providing everyone with an awareness of their legal rights together with the confidence and skills to assert them. We believe that everyone should understand their legal rights and obligations, and know how to gain redress through the legal system. Yet most people struggle to cope with legal issues, and often don’t know where to go for help. Being able to cope with family and housing issues, sorting out employment and benefit matters or difficulties with goods and services is crucial. These issues are the cornerstones of everyday life that can become drivers of poverty and inequality if left unresolved. We have the expertise, the practical experience, and the tools to work with any organisation that wants to support the legal needs of their service users. We provide multimedia information and education that explains how to manage legal situations in a straight-forward way. 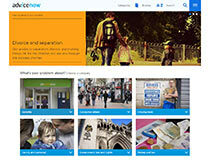 We run the award-winning Advicenow website providing a hand-picked and checked information service that draws together the best up-to-date information about the law and rights available on the internet. We create effective materials that provide practical help on how to manage and resolve life’s legal problems. We deliver community based education and training projects that help people to understand how the law works and build their skills and confidence. We develop innovative and interactive community-based education around housing, welfare, consumer, and employment issues with an emphasis on skills. We support other organisations around the world to help their users make sense of the law through our research, consultancy and training. We support an international network of practitioners and researchers so that we can share knowledge about how and why legal education and information for a wider public is an important part of access to justice. community based education and training on a range of legal issues. bespoke education courses and sessions tailored to particular community needs. 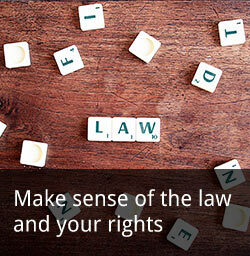 public legal education training for organisations’ staff and others. materials that help users deal effectively with a particular issue, including in-depth resources for Self Represented Litigants. resources and training for staff and others who produce legal information. We are very grateful for the support from our investors, partners and clients. Law for Life are a registered charity – Charity no. 1143589. We are also a company limited by guarantee, registered in England & Wales no. 07695486. Our registered office is Law for Life, China Works, Unit 404, Black Prince Road, London, SE1 7SJ.